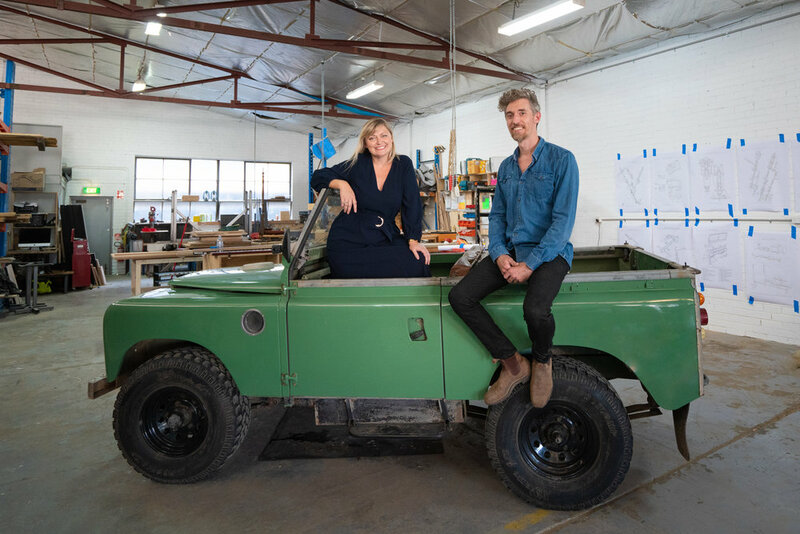 Jaunt creates unique journeys to explore regional Australia through a bespoke car rental service with iconic cars up-cycled into electric vehicles. Catering to the growing demand for tourism products that are more adventurous, more attuned to local culture and more sustainable. We want Jaunt to be a piece of Australia's future transport puzzle that sparks the imagination and drives us toward more sustainable travel. Marteen grew up in Mt Isa, Queensland and learnt to drive on outback dirt roads in a Mitsubishi Pajero 4WD when she was 10 years old. She’s worked in advertising and production for twenty year and connects all the pieces and people together at Jaunt. Marteen’s looking forward to taking jaunts with her family (including dogs Harley and Marlo) on day trips to the Yarra Valley and Mornington Peninsula. Dave grew up in Bendigo, Victoria and tries to spend as much time as possible exploring remote parts of Australia. He’s always felt a bit guilty driving a diesel 4WD to get to pristine natural places, which is what inspired Jaunt . With two decades of experience leading top digital experience agencies combining emerging technology with beautiful design, he’s excited to bring sustainable technology to adventure travel. Ultimately, working in partnership with regional communities, we want to up-cycle the thousands of four wheel drives sitting on farms and in back sheds. Having the mechanical and electrical engineering work completed locally, installing charge points and creating bespoke travel routes that unlock the most wonderful places. We’re not trying to cross the Simpson Dessert or get to Cape York (just yet), there is so much adventure to be had within a few kilometres of every town and city for tourists and locals alike.